What does Arifin mean, details, origin, short & easy attributes? Arifin is a Muslim Boy name, it is an Urdu originated name. Arifin is a unique name with impressive meaning. It belongs to Arabic origin. You can find name meaning of Arifin in both English & Urdu, and other languages as well. Arifin is baby boy name mainly popular in Muslim religion and its main origin is Arabic. Arifin name meanings is Saints, Plural of Aarif. People search this name as Arifin, Luqman arifin. Arifin is written in Urdu, Hindi, Arabic, Bangla as عارفین, अरिफिन, عارفين, আরিফিন. Other similar sounding names can be Arib, Arif, Ariiq, Arikah, Arish, Ariana, Aribah, Arifa, Arifah, Arij, Arisha, Arissa. Each letter meanings in Arifin Name. F Fun, your zest for life! Popular personalities with Arifin Name. Arifin Putra is an actor. His most notable accomplishments were from 2000 to present. 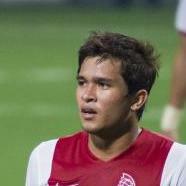 Arifin was given the name Putra Arifin Scheunemann on May 1st, 1987 in Mainz. Arifin is also known as Arifin Putra. Arifin Shuvoo is an actor, television presenter, film actor, and television host. Arifin was given the name Arefin Shuvo on February 2nd, 1982 in Mymensingh. Arifin Zakaria is a Chief Judge of the High Court of Malaya, Chief Justice of Malaysia, and Chief Judge of theHigh Court of Malaya. Arifin was born on October 1st, 1950 in Pasir Mas. Arifin was given the name Arifin Chairin Noer on March 10th, 1941 in Cirebon. He passed away on May 28th, 1995. Arifin was born on March 5th, 1925 in Padang Panjang. He breathed his last breath on September 2nd, 2010. Arifin is a soccer player for the Persiram Raja Ampat, Persegres Gresik United, PSKS Krakatau Steel Cilegon, Persibo Bojonegoro, and PSAP Sigli. Arifin was born on May 26th, 1983 in Fak-Fak Regency. Zaenal Arifin is a soccer player for the Persela Lamongan, Persib Bandung, and Indonesia national under-23 football team. Zaenal was born on April 1st, 1982 in Jakarta. 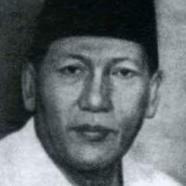 Zainul Arifin was a Chairman of the House of Representatives and Deputy Prime Minister of Indonesia. Zainul was born on September 2nd, 1909 in Baroes, Central Tapanuli, North Sumatera, Dutch East Indies. He died on March 2nd, 1963. Zulfahmi Arifin is a soccer player for the Home United FC, National Football Academy (Singapore), Young Lions FC, LionsXII, Singapore national under-23 football team, and Singapore national football team. Zulfahmi was born on October 5th, 1991 in Singapore. Bustanil was born on October 10th, 1925 in Indonesia. He passed away on February 13th, 2011. 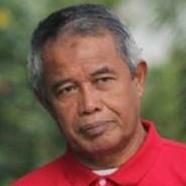 Djohar Arifin is a President of PSSI. Djohar was given the name Djohar Arifin Husin on September 13th, 1950 in Tanjung Pura, Langkat, North Sumatra, Indonesia.